"Good location, close to the beach." 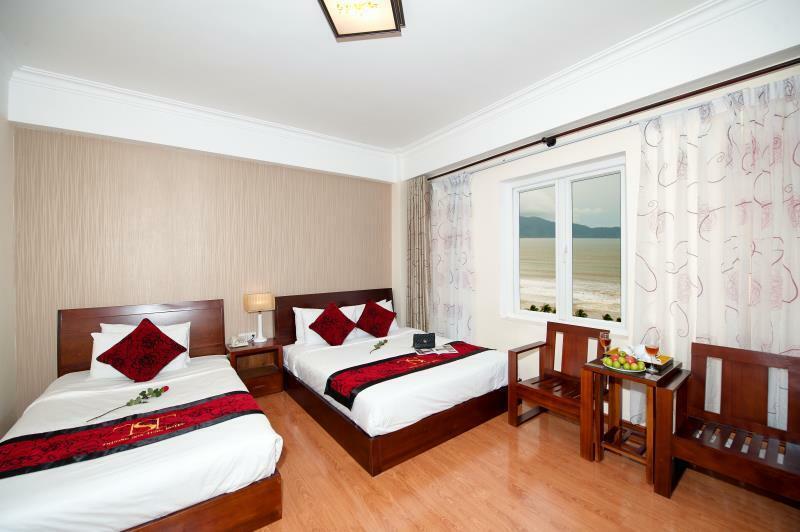 Have a question for Beautiful Beach Hotel Danang? "Deluxe seaview room had an awesome view." "Room was clean, cool, bed comfortable." "Price and location were excellent." 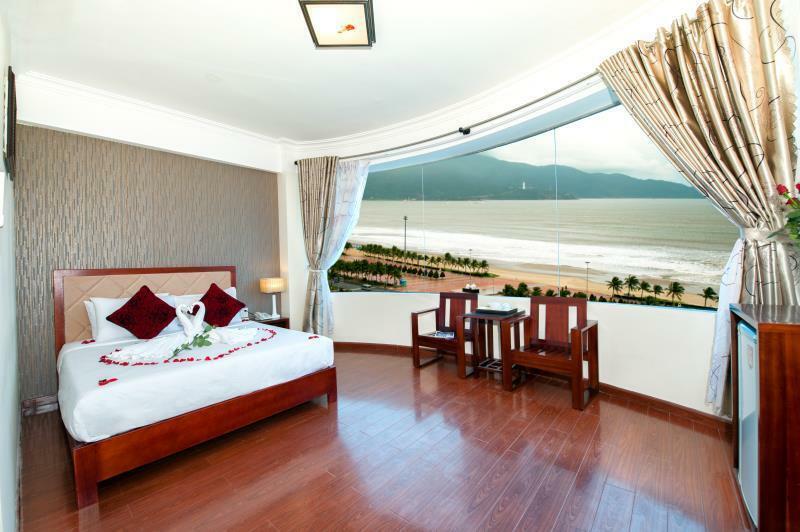 This 3-star beach hotel is located in Da Nang, next to Pham Van Dong Beach which overlooks the beautiful sea. 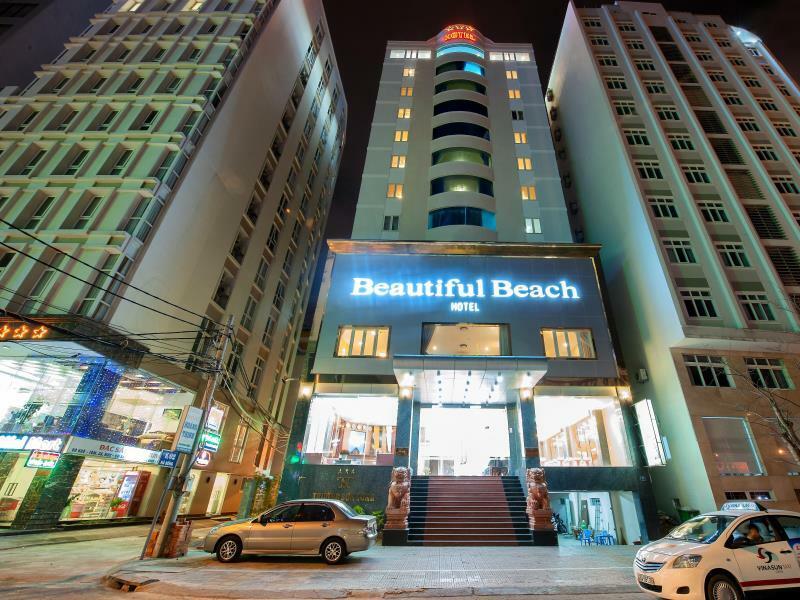 Beautiful Beach Hotel Danang is a 12-story building with 62 bedrooms composed of a modern interior, creating a cozy and comfortable feeling for guests. Rooms at this hotel have a perfect view of the Han River Bridge as well as the golden beaches and blazing sunshine. This hotel is a convenient choice as it is surrounded by beaches and is only 30 minutes from the ancient town of Hoi An, Five Mountains, and Ba Na Mountain. Guests can also visit the nearby restaurants which include seafood and special Vietnamese cuisines. 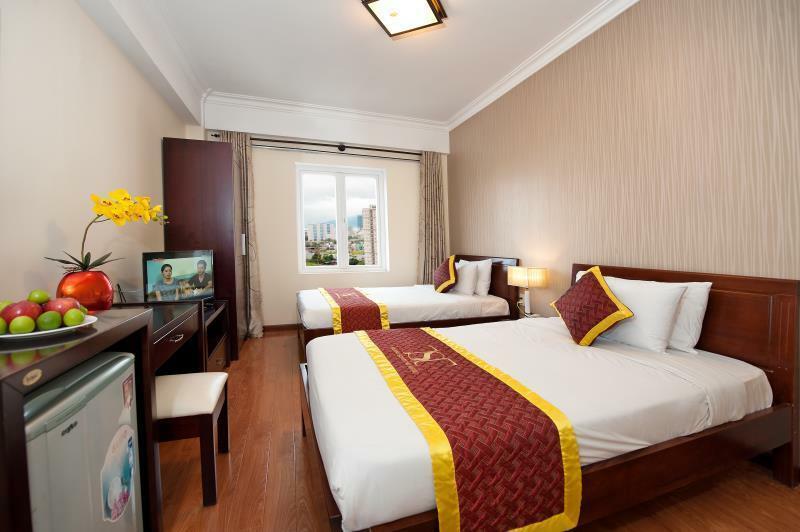 Pick Beautiful Beach Hotel Danang when visiting Da Nang for a warm and relaxing stay. "Great location and close to beach and restaurants." nice hotel almost at beach with a lovely view to the beach. separate living and sleeping rooms were large and clean as well as large bathroom - nice. friendly and helpful staff even though nobody was capable to speak english. hotel had their own motor cycle for rent; nice to start - and come back - directly from/to the garage. lovely restaurants by the beach near the hotel. Nice hotel with large, clean rooms with wonderful view to near-by beach. Breakfast was typical vietnamese and not so many choices. Hotel has their own motor cycles for rent with nice prices - the best way for transportation around that big city and surroundings. Near the hotel and beach many good quality seafood restaurants with fresh fish. - Staff can't understand even simple English and don't provide maps for guests. 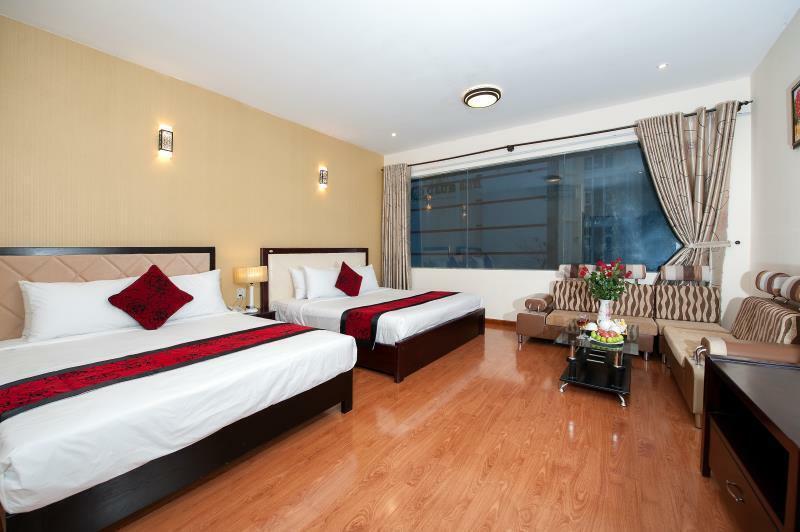 - Cleanliness: Generally clean but room floor always sandy even immediately after housekeeping has "cleaned' it. - Cigarette smoke smell in room (thou our room was non-smoking) cos it comes into room from other rooms & corridor. - Seaview partially blocked cos of new taller hotels and more are being built so soon may not have seaview. 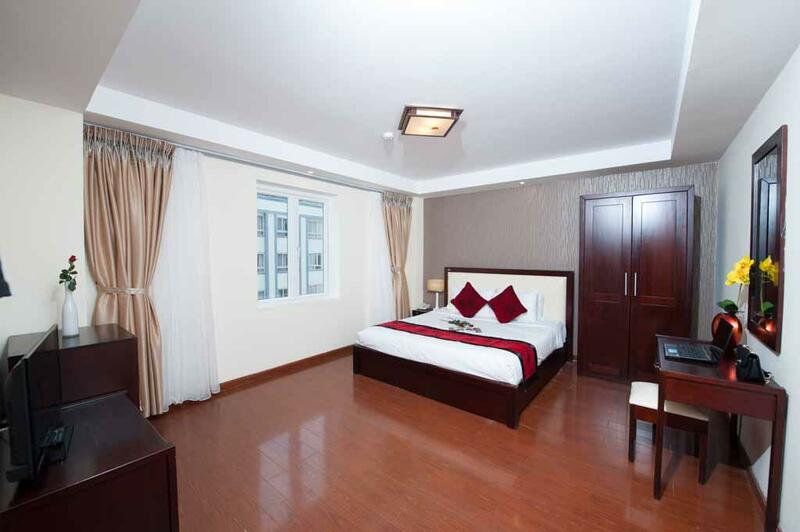 - Location: very convenient and near to beach and about 25 mins walk to nearest complex wx cinema, shopping & food outlets. and 1hr walk to Han Market. 20mins by taxi (VND100,000) to Airport. The place js behind A La Carte but so much cheaper. The room has a massive window with a great view, but the window doesnt open so the place has an odd smell. I loved the place. Price and location were excellent. Room has good size. Near the beach. Bathroom really need to be upgraded. The shower was bad. Old and torn out towels. Toiletry items are poor quality. However, location is near the beach and they let us check in at 12noon so it was helpful. Hotel is older but in pretty good nick.Staff are very nice in the Vietnamese way but know almost no English. Breakfast is vietnamese and O.K., I have had better. A bit of a walk to the beach, but manageable. 2 lifts sometimes struggle with 12 floors. The hotel is located at a great location, close to the sea, got rooms facing the sea so it was a great experience to watch the sunrise and sunset. The rooms are good with a good aircon and most channels on the TV. The food in the restaurant is quite good but can be better. Housekeeping and the rest of the people are quite helpful, co operative and supporting. Overall had a great stay up there. The rooms and food are great compared to the prices. Will stay there again during my next visit in november. Purchased via Agoda & got a nice rook. Though the problems began when I wanted to extend my stay. manager wants to get greedy & lie to customers... to much hassle. MANY other hotels around offering better value ..
the hotel is quite new however the water in the bathtub was stuck the first day while i was there. they have a great ocean view from duluxe rooms. however, there is a contructure of a high rise apartment-hetel in front of the hotel and i dont think you can see the sea anymore from these rooms. hotel staff is not really friendly, they seems to be lack of experience because they are all new staff i think. this is my first trip to danang. 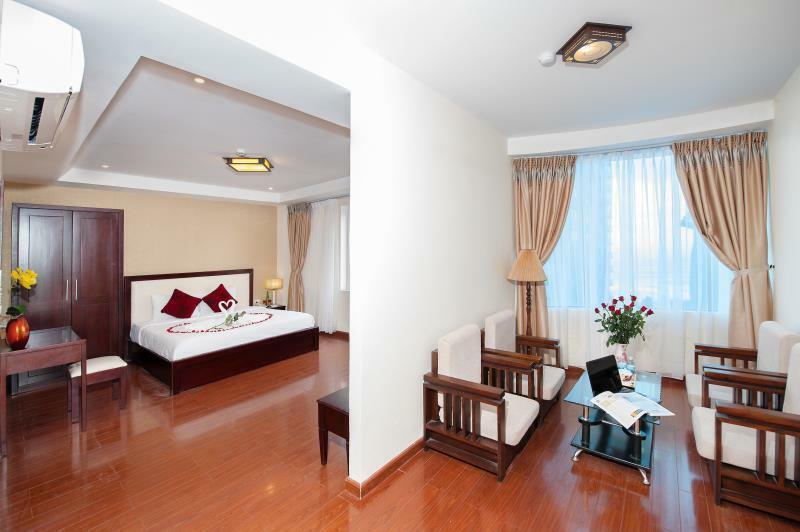 hotel was located near the sea-side and convenient to go to the city by taxi with few kilometers away. breakfast in hotel was ok but lack of variety of foods. hotel staffs were friendly and helpful. i will refer to friends to stay in the hotel in future. the hotel is fairly new and well maintained. location is well situated nearly the sea and many local seafoods restaurants are just walking distance away.hotel provide free wifi to almost everywhere within the hotel vicinity and free internet is available at the lobby. friendly waitress in the reataurant. Stayed here for 4 nights in early april. The hotel/rooms were clean and the staff were friendly and helpful. The hotel is across the road from the beach, which we thought was nicer than Nha Trang’s beach. There were not as many tourists – hardly any in fact, and we never got hassled to by anything really which made it even more relaxing. The down side to this location is you have to find transport to get into town cos its too far to walk. Most of the decent bars/restaraunts are on the other side of the river. A taxi is about 50,000 dong ($2.50) one way and on the back of a motorbike is even cheaper. It may not sound like much but you can get a meal that sort of money. Also the hotel restaurant closed at about 730-8pm despite claiming it closed at 9.
stay in the sea view room and you'll be impressed by it's 3 glass paned window that offers a near 180 degree of my khe beach. you can literally see from son truong peninsula to the other end of the beach. the room was a bit small but the decor and cleanliness of the place more than made up for it. it was nice to be able to walk 2 minutes to get to the beach. i was very impressed with t.s.t hotel. the staff are very friendly and helpful. they are very good at arranging tours, travel and directions. i had no problem with communication in english and they went out of their way to be helpful.i would highly recommend this hotel. 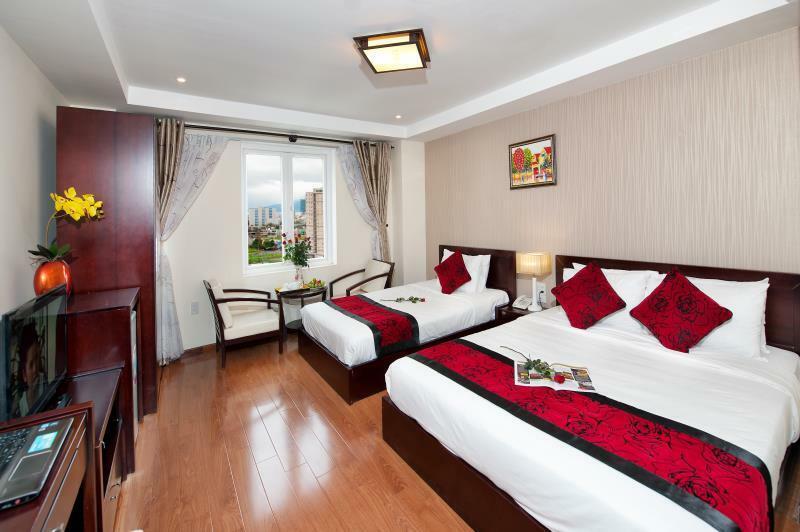 The room is spacious and very clean and the hotel staff are friendly. The hotel is very near to the beach which provides a great view and leisure walk along the beach is fantastic. Taxis are plentiful so there is not much problem with getting around. Enjoyed the room, the breakfast and the Staff was great. the staff spoke reasonable english but were extremely willing to help us arrange transportation to hue. additionally, it had a great location overlooking the beach and away from the din of the city center. Good size room. Attentive staff. Room was spacious with view to beach. Probably good location when weather is good. Only taxi access to town. Wanted to print vouchers, but computer in lobby had no printer hookup. English language skills were bare minimum, but staff tried very hard.